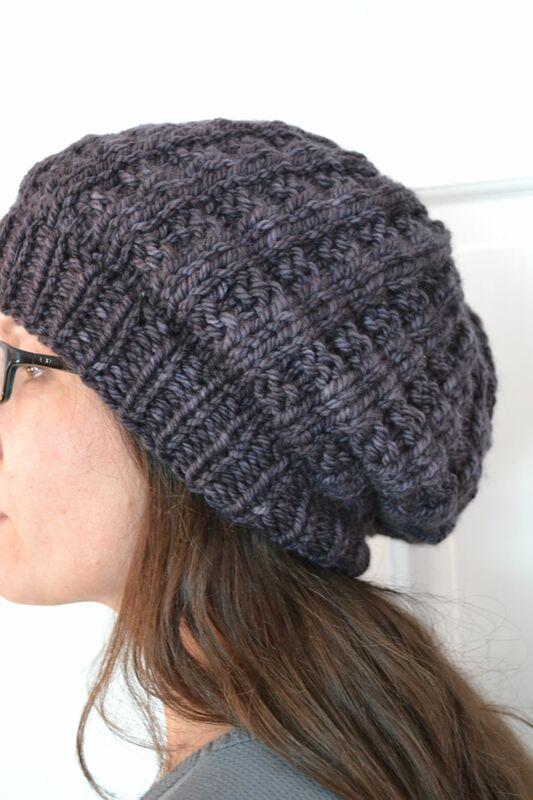 I used Malabrigo Chunky in Pearl 10: it’s so squishy-soft and I love the aubergine color. The only thing is is that it’s the tiniest bit loose at the brim; the next time I’m at a craft store I plan to pick up some elastic thread to run through it to help snug it up a bit. 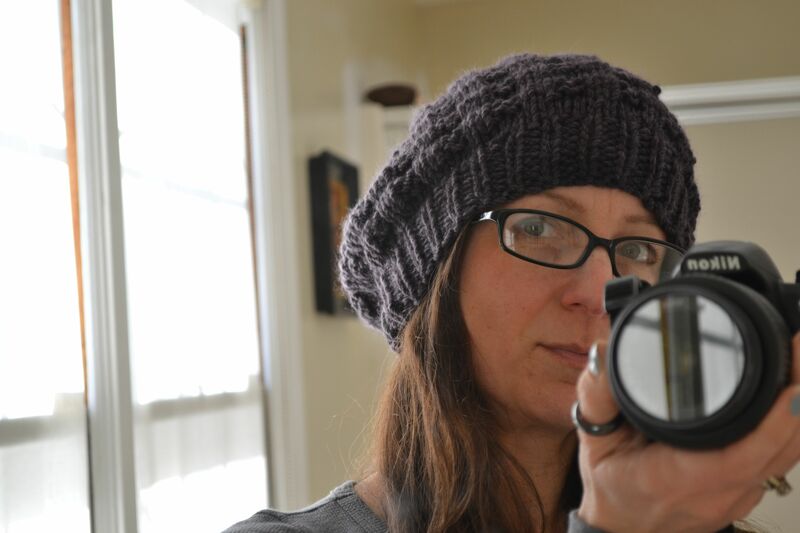 If I knit this again I’d use smaller needles for the brim. Still, I totally love it! Kelli, that hat is just so cute on you. It’s a keeper.